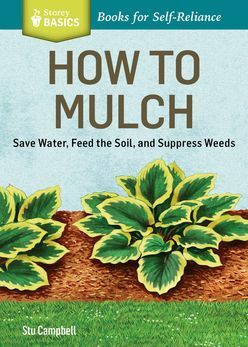 Gardeners and yard owners of all levels will learn exactly how to mulch for any situation – from sheet mulching to feeding mulches to living mulches. One of the most common landscaping activities readers take on, mulching is also one that is often done incorrectly. With this guide’s quick-reference chart to mulch types and a section on mulching for specific vegetable, readers will find maintaining their yards and gardens much easier! A practical guide to choosing and using mulch in the garden and landscape.